Percy Rogers was no ordinary doctor. Raised in small Western Australian towns, at fifteen he saved enough to buy a train ticket to Perth, where night school was free, with a hope to study medicine. From there he embarked on a medical career that would take him around Australia and the world, from Hobart’s busiest hospital to a practice in suburban Coburg; from remote Arnhem Land communities to a city in Saudi Arabia; from the beaches of Cocos Keeling Islands to the Papuan jungle highlands. 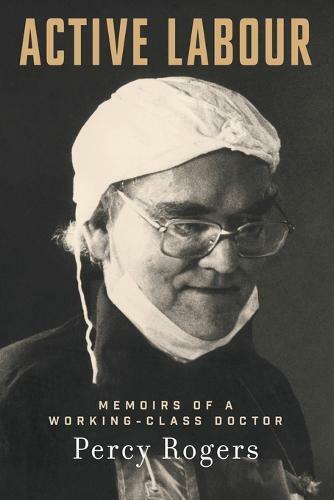 An obstetrician by training, Rogers was a passionate advocate for women’s reproductive rights, arguing that women should have a greater say in their childbirths and medical care, and a pioneer of the Lamaze technique in Australia. His belief in equality, women’s rights and fair working conditions extended beyond the medical profession: a one-time communist and the subject of a secret ASIO file, Rogers was an outspoken critic of social discrimination and a defender of those who could not speak for themselves, whether through illness, gender or language barriers. His work took him into communities near and distant, where he confronted poverty, disease and appalling living conditions as he sought to provide individuals with a basic human right - access to free and safe healthcare. Active Labour is the inspiring, warm and moving story of one of the most pioneering and compassionate health practitioners in the country. It is a testament to one man’s abiding, passionate belief in the power of medicine and the importance of community health. Active Labour, the title of Percy Rogers’ autobiography, alludes to his work as an obstetrician pioneering the Lamaze method of childbirth, and also his life-long commitment to social activism. His fascinating story takes the reader through a remarkable number of the pivotal events of the last ninety years. A working-class boy born between the wars in country Western Australia, Rogers worked his way through school and university doing labouring jobs in isolated country communities. A sense of social injustice was fuelled there by the conditions in Indigenous communities and the inequities in access to health care and education. His conscience eventually prompted him to become a card-carrying member of the Communist Party, a decision that was to have ramifications throughout his career – as his big fat ASIO file attests. In the fifties, Percy moved to Melbourne where he did his medical training. Becoming a doctor fed his appetite for the battle against social injustice. His concerns included green bans, women’s rights (particularly in the health system), public health, and the environment. He also had stints working in New Guinea and he provides an interesting glimpse into Australia’s colonial aspirations. Along the way he managed the life of a husband and a single parent, and he engaged fully in the cultural life of Melbourne. Some claim he is Readings’ longest standing customer! More recently, when he retired from medical practice, Rogers chose to give back to the Indigenous community. He undertook a number of locum positions in communities in remote Australia, returned repeatedly and only completely retired in his late eighties. Percy Rogers’ life reads like a history of left-wing politics in twentieth century Australia. So often he is in the vanguard of social change and his energy and commitment are humbling. However, he acknowledges that, like many of his generation, he has been lucky, and (like that of another West Australian author) his is a fortunate life.